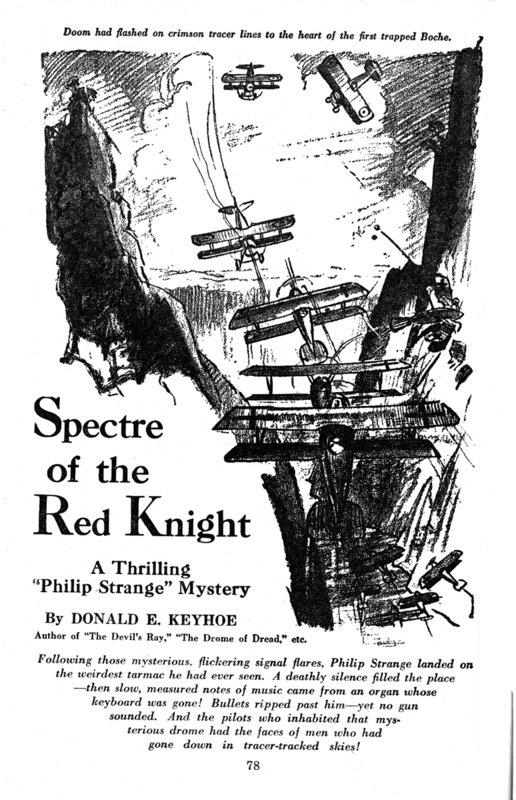 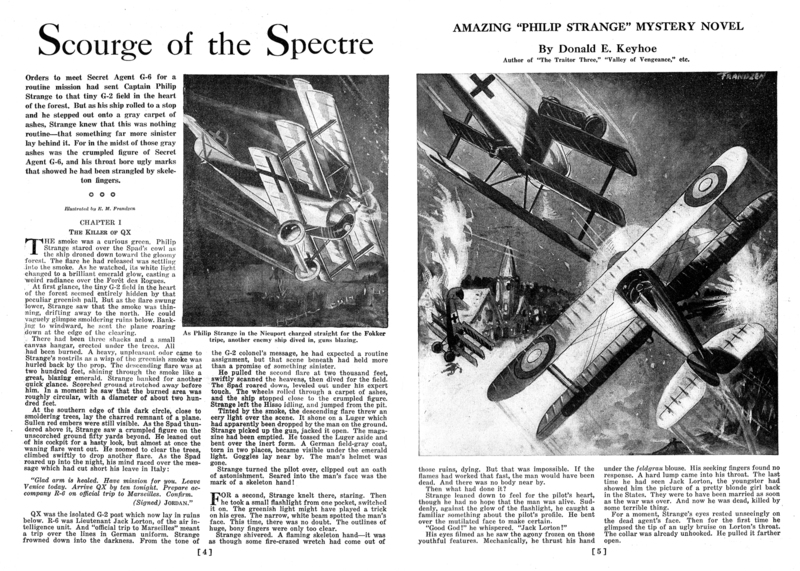 The original pulp stories were illustrated buy Eugene M. Frandzen. 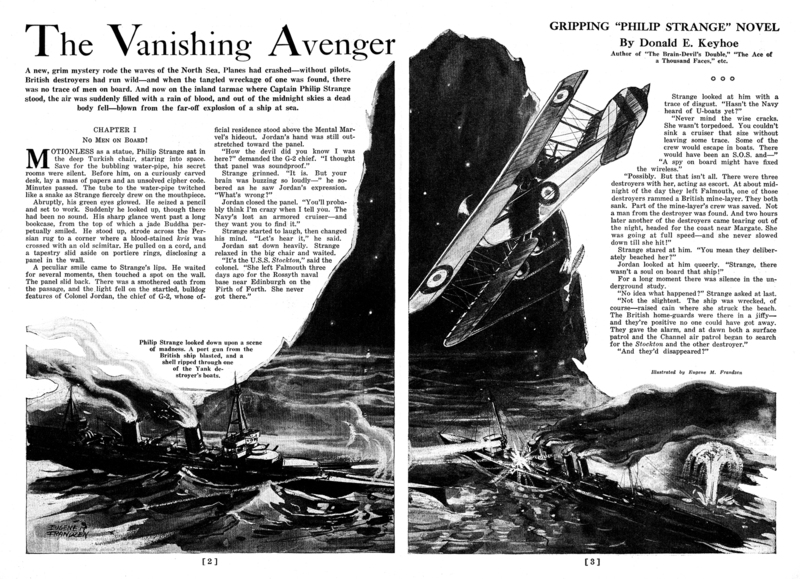 In our design the orignal art is used as a background seen only through the graphic cutouts that serve to lead off each story. 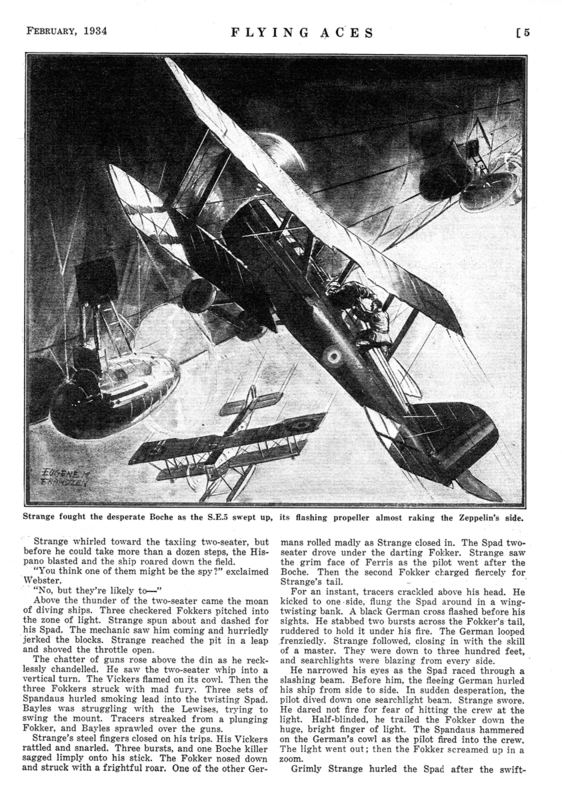 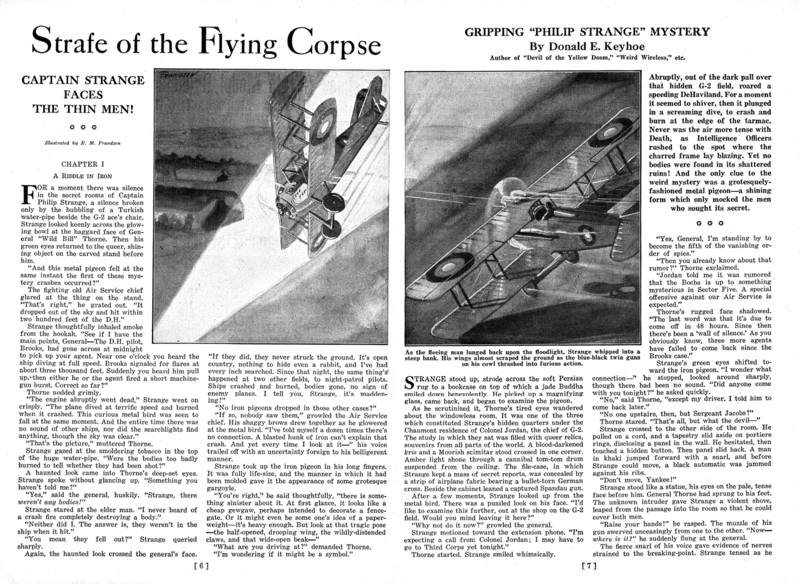 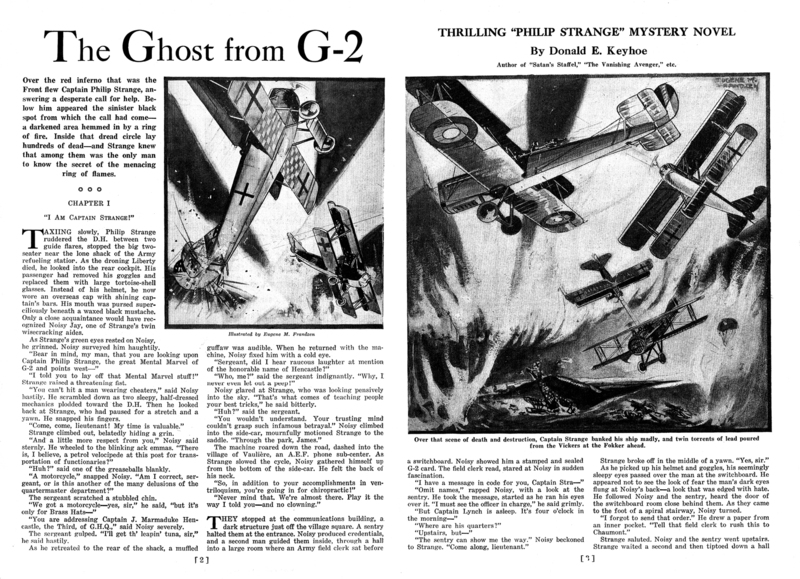 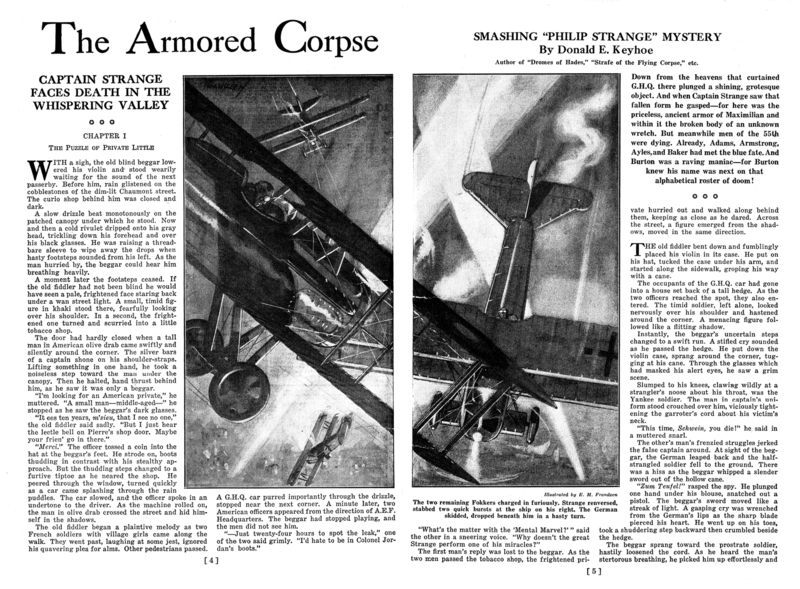 Here is Frandzen’s art as it appeared in the pages of Flying Aces magazine.